Ever noticed that mile-wide smirk on the face of a Malayalee when the rest of his fellow Indians go gaga about Bollywood? Being a true blue Malayalee, I can vouch for the fact that it is not all about our cynicism. Wholly or partly, blame it on veteran filmmakers like P. Padmarajan, Bharathan and Adoor Gopalakrishnan, just to name a few. They refined our tastes; made us so much overindulged in their vintage movies and by and by, turned us into an extremely finicky audience. Here is a list of 10 such wonderful films from the golden age of Malayalam cinema. 1. Elipathayam: In this 1981 movie, Adoor Gopalakrishnan showcases the degeneration of the feudal system in Kerala. While the protagonist, Unni, gives a cold shoulder to the changes in the society, his three sisters who are colour-coded in blue, green and red, protest to their being in an endearingly realistic way. 2. 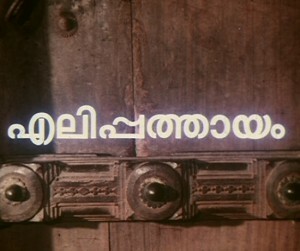 Mathilukal: Another masterpiece from Adoor’s quiver. Based on Vaikom Muhammad Basheer’s novel of the same name, the movie is all about the love affair between two prison inmates who are separated by a wall. However, neither the audience nor the hero (Mammootty) gets to see the lover on the other side of the wall. 3. Perumthachan: This movie can be aptly called a Thilakan movie as it was one of the very best performances by the actor ever. Director Ajayan based his first and the only film on a Kerala legend named Perumthachan (the master carpenter). While it is a love affair that sets the premise of the film, it is more about a father-son relationship, with shades of envy, ego and rebellion. 4. Thoovanathumpikal: This Padmarajan movie enjoys a cult-status in the Malayalam film industry even after so many years since its release in 1987. It is the story of Jayakrishnan (Mohanlal) who falls in love with two women from completely different backgrounds. 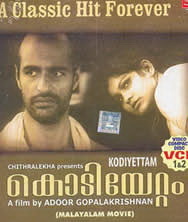 Padmarajan uses rain as a powerful motif in the film and it serves as a backdrop for the film. 5. Thaniyavarthanam: Scripted by A.K. Lohithadas and directed by Sibi Malayil, this Mammotty-starrer will stick with you for a very long time. Balan Master (Mammootty) falls prey to the unfounded fear of a family that one male member from each generation will have mental illness. Balan is deemed lunatic by the society and eventually, he is killed by his own mother. 6. 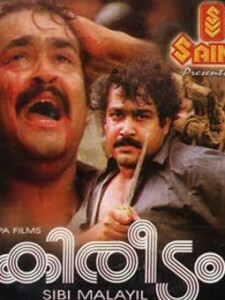 Amaram: One of the highest-grossing film of the nineties, Bharathan’s Amaram ran for more than 250 days in Kerala. Fisherman Achootty’s biggest ambition in life is to see his daughter Radha (Maathu) as a doctor. However, fate has other plans for Achootty, who is immortalised by Mammootty. 7. Kireedam: Another jewel from the Lohithadas-Sibi Malayil team. 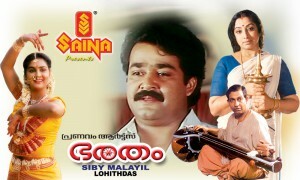 While the film did wonders in the box office, it also catapulted Mohanlal to super stardom. Thilakan’s stupendous performance is also worth mentioning. 8. Kodiyettam: Adoor Gopalakrishnan has done it again with this coming-of-age movie. While silence become tropes for Shankarankutty’s (Bharat Gopi) new attitudes to self, the festival adds colour to this otherwise drab, yet worthwhile movie. 9. Sukurtham: Directed by Hari Kumar and written by M.T. Vasudevan Nair, this movie is about a blood cancer patient (Mammootty), who believes that he is destined to die. In anticipation of the approaching death, he gets his wife involved with another man. However, the god of death has some other plan for him. 10. Bharatham: An adaptation of Ramayana, retold from the perspective of Bharath, who ascended the throne of Ayodhya in Ram’s absence. The musical drama was a mass hit with its much-acclaimed soundtrack and it starred Mohanlal and Nedumudi Venu in the lead roles.